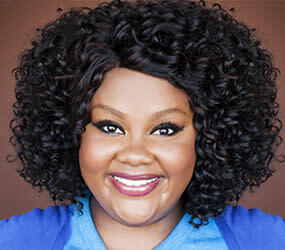 Nicole Byer is an actress, comedian and writer. She hosts the baking show Nailed It, currently streaming on Netflix, and has a sitcom loosely based on her life streaming on Facebook Watch called Loosely Exactly Nicole. Nicole also hosts a podcast called Why Won't You Date Me and recently starred on Fox’s Party Over Here. She can be seen on MTV's Girl Code, 30 Rock, Late Night with Jimmy Fallon, Mike and Dave Need Wedding Dates, @Midnight, Adult Swim, Chelsea Lately, Transparent and Lady Dynamite.